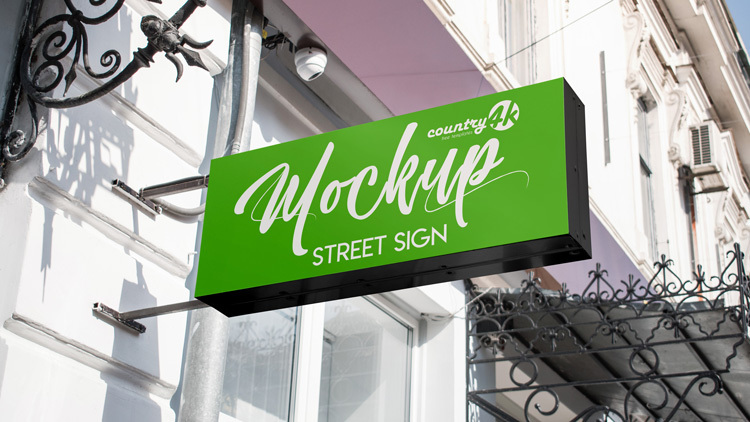 Street sign is an excellent mockup developed by country4k. This mockup can be useful for designers to demonstrate advertising and create a realistic presentation. We developed this product in PSD format using smart objects. Therefore, the use of smart objects makes it easy for designers to replace or insert their own designs. You can easily customize this PSD mockup street sign, advertise your design and make any changes. Therefore, we are sure that using this mockup will allow you to take a step forward with respect to competitors and make a vivid impression on your customers.